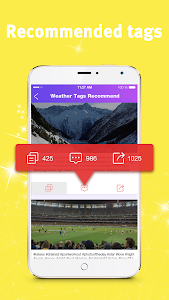 Add tags to related topics for your posts, gain likes and followers,and quickly become a popular king! Discover new tags you never thought of! Get more followers and increase your pageviews of posts. 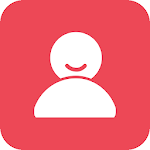 Title: Provide different types of title sentences to keep your post no longer monotonous. All tags and captions will be continuously updated. ► Copy Tags & Captions, free followers. ► Edit Tags & Captions what you want! 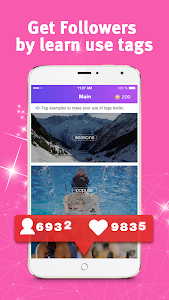 ► Gain more free likes & followers and to be popular,insta follow. ► Continuously update content to provide you with popular content.